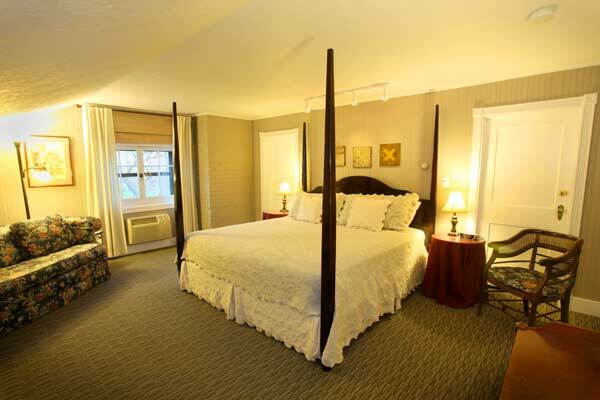 Looking for a great stay in a convenient location? 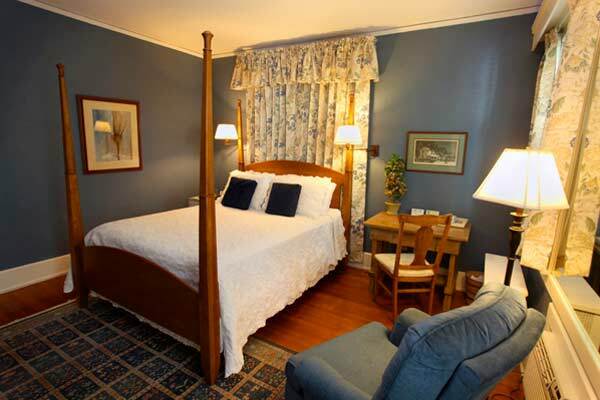 Consider a stay at our Iowa Bed and Breakfast! 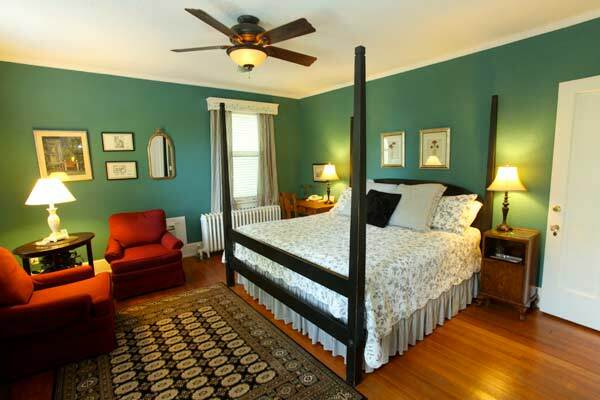 Decorated in Yankee green, this spacious room features a king sized Shaker four-post bed and private bath with tub. 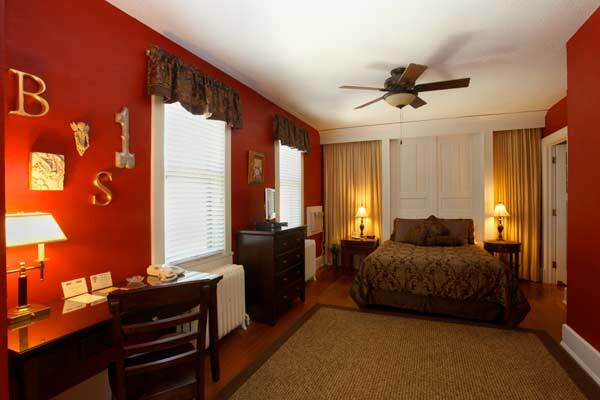 On the second floor, the house’s former master bedroom overlooks brick-paved Brown Street. 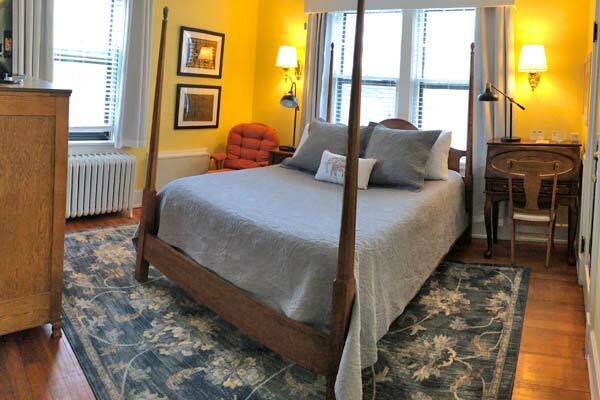 This west facing room has a queen sized bed and private bath. A large wall mirror is a unique feature of this room. It is on the second floor. 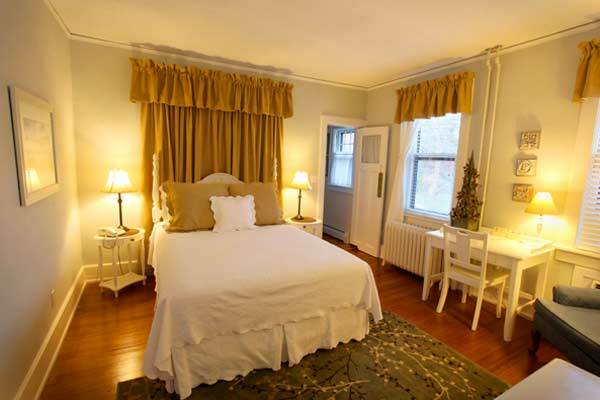 Spacious and private, this third floor suite has a four-post king sized bed and private bath. A love seat and wingback chair provide a relaxing place to read, visit or enjoy a DVD movie. 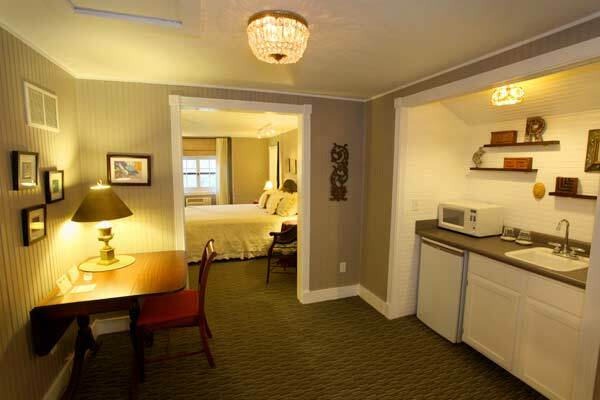 A microwave, refrigerator, and sink provide limited kitchen facilities. A rollaway bed can be set up for a third person.